Vulcan Spring and Manufacturing Co., a leading designer and manufacturer of flat steel springs and related assemblies for diverse global markets, is celebrating the company’s 50th Anniversary. Our company is focused on designing and producing products that allow our customers to succeed. Vulcan developed PULLBOX® product security devices, plastic scrolls for informational displays, counterbalances for beverage truck doors, and variable force springs that push products on store shelves. More than 40 years ago, the first commercial application of a Vulcan spring was used to power the speech mechanism in the "Talking G.I. Joe" doll. Today, Vulcan springs are employed in a wide range of applications where exceptional design, high quality materials and superior manufacturing techniques are required to meet customer needs. About Vulcan Spring & Mfg. Established in 1967, Vulcan Spring & Mfg. Co. is the recognized leader in the design and manufacture of constant force springs and related assemblies for diverse global markets. 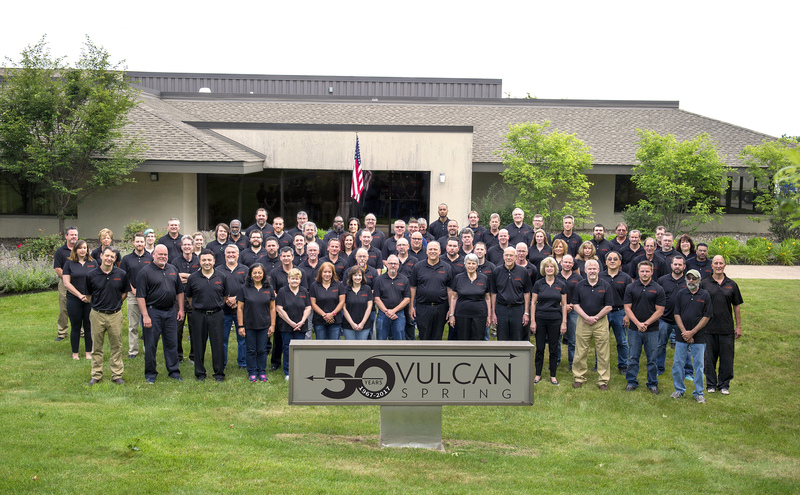 Through the company’s commitment to rapid response, product development, and quality and value, Vulcan Spring & Mfg. has become the preferred supplier for Industrial and Point-of-Purchase clients. For more information, visit http://www.vulcanspring.com; contact the company at sales(at)vulcanspring(dot)com, or Tel. +1.215.721.1721.